I received some emails & requests from fellow IO members asking me about the strategy I followed for geography. This short article is in response to those requests. I hope this will be of at least some value to future aspirants. Before that I’ll introduce myself – I’m Abhiram – cleared CSE 2010 in my first attempt. My rank is mainly due to my marks in geography (385 marks – 196+189 in papers 1 & 2). Overview of Geography (Mains) Preparation1. I think it is better to read the minimum possible number of books, but it should be revised regularly. For eg: I followed only savindra singh for physical geography, and did not buy separate books for geomorphology, climatology or oceanography. (i’ve attached the list of books I followed at the end). 2. I did not prepare notes from standard text books, as I felt it was redundant. Instead I wrote tips & headings on the margins of the book for easier reference. I concentrated on my class notes for proper structuring of answers. 3. Use diagrams, maps, flowcharts & other innovative illustrations in your answers. Diagrams simplify the detail & improve the presentation also. I followed the thumb-rule of one diagram for a paragraph (i.e. Approx. 1 or 2 figures per page.) Even in questions where the need of a diagram may not be apparent, try to draw at least one. Eg: for the question on occidental culture realm, I just drew a rough map & marked the corresponding area, which might have caught the examiner’s eye. Eg: for a question on world trade pattern, I drew a world map with arrows pointing out the nature & flow of commodities between developed & developing nations. This, I believe, leads to a better expression of an idea which is either difficult or lengthy to express in words. 4. As far as mapping is concerned, try to identify places that appeared in the news for some reason (eg: jaitapur, sanand, krishnapatanam etc.). Frankly speaking, luck was a major factor that helped me in india map & I notched up 11 correct locations out of 15 given in the question. My interest in wildlife/travel & my location in south india helped me identify 6 locations. 5. I followed the deadline of (number of marks/2) minutes for answer completion & did not take into account the number of words. Eg: I put aside 10 minutes for a 20 marker. Even this strategy failed me in Geo paper 1 as I was not able attempt around 15-20 marks. 6. For answering less specific questions (eg: problems & prospects of agro-based industries in bihar), use intelligent correlation to write comparatively good answers. For eg: problems of agro industries are related to geomorphology, climate, transportation, quality of manpower etc. You can opt for either a bright or dull prospect, but substantiate the stand. If you are positive, then suggest the advantages of bihar with respect to agri production, large pool of manpower, flat land suitable for road/rail etc. Along with the conditionality like bridges, better education & skill development of workforce etc. 7. Practice drawing of diagrams to increase speed & save time. 8. Mock tests conducted by Shankar sir, followed by individual correction sessions greatly refined the quality of my answers. 9. For ‘’contemporary issues’’ topic in the syllabus, I mainly relied on my preparation for GS. List of major sources i followed. The list is definitely not exhaustive, but i have tried to be just to your need. I do not know about Hindi medium books in geo, because i wrote the exam in English. But savindra singh's 'physical geography' is available in Hindi. You can definitely buy that. Ncert 11th & 12th geo will also be available in Hindi. As for other books, i've no idea. Missing topics can be read from spectrum's geography. It is not absolutely necessary to take coaching, but in a highly popular subject like geo, it always helps to be a few steps ahead of the crowd which is possible if you get good guidance. Pls do not leave out any topic as a whole. Have a basic idea of everything in the syllabus. But you can be selective while studying in-depth. Khullar is mainly a reference book meant to support NCERT. You'll have to follow the whole book, but there is no need to read line by line, or every page. Some chapters like physical setting, soil, environment, etc. Need in-depth reading in khullar. Others like minerals, agri, industry, transport etc. Only need a cursory reading. But take a good look at the maps & important places. For eg:, you must know major mines in the important coal belts of india, major national highways etc. You don't need to study the whole of majid husain, but only those topics mentioned in the syllabus. Chapters in Physical Geography- Savindra Singh are divided into portions that mirror the mains syllabus (paper 1 section A) like geomorphology, climatology, oceanography & landform development. Take the syllabus & compare the various topics in the former & the book. Then you'll know what to read & what not. Newer editions even have a glossary of terms at the end, which is useful for definitions. I think the new edition of phy.geo. By savindra singh has a portion on sealevel change, law of the sea & marine pollution. For marine pollution & sea-level change you can definitely frame points out of your GS preparation. You'll need Orient Blackswan Atlas also, as some features are better explained in it than in oxford atlas. Also, i do not know about adhikari's geo thought, but i've heard it is a bit too lengthy. Btw, i don't think i'd have said rupa series was "the best" for soils & landform development. It was the book i followed, that's all! Made simple series is very useful, esp. The soil geography & landform development part. Rupa's series is also really good but you'll need only some of the chapters & not all. I have never made notes from standard textbooks at any point of preparation. I used to underline the important points & also write hints on the margin of the textbooks. 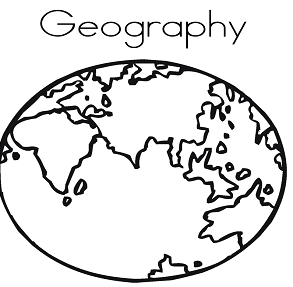 How to write Answers in Geography (Mains)? The intro & conclusion differ from question to question, and also based on the marks allotted. Generally there's no need for long intros for 20 markers. It is the heart of your answer that is most important as it contains "the stuff". Generally speaking, most candidates will answer the direct questions (like those relating to cyclones,earthquakes, structure of earth, tides/coral reefs, landforms, erosion etc.) With almost the same points, so try to maintain an edge by introducing new diagrams or presenting your answer in a more appealing manner. For small questions underline just underline one or two keywords. For the long ones you'll have to underline just the key points. Too much of it make your paper look ugly. I used both headings (very frequently & only before starting non-intro paras) & points (occassionally, but each point consisting of minimum 2-3 lines each) in my geography answer paper. Also, be careful with the open ended questions – you have to write answers with a geographical perspective in your mind. Moreover, these answers should be as broad as possible in the sense that it should cover a wide range of factors/issues. For example: In geo mains 2010 paper 2 we had to write a short note on "ethnic diversity of north-east tribes". Instead of just describing the north-eastern tribes of india straightaway, i took course to the following format. Most of the diagrams were from the textbooks i followed, but sometimes i had to innovate, as in the question regarding WTO…it is not necessary that there be one diagrm per para, but try to include atleast one per page to break the monotny & improve presentation. Q. F i get any new island name in news paper or any place of dispute should i locate in the map? I donot use any specific Technic for drawing India's outlines ( boundaries). Just practiced free-hand drawing and made sure that my drawing looked 'similar' to the actual state interms of shape. That's all! Q. If in any question i have to prsent map of any state for example orissa..should i draw the map of india and inside it should i show orissa or only i draw map of orissa independently…if so..then remembring independent maps of every state is going to be very difficult. Ans. It depends on the nature of question asked. If it specifically pertains to orisse, then you'll have to draw a rough map of orissa. It is not at all difficult if you can remmeber something general regarding a state's outline – kerala (like a bitter gourd), tamil nadu (triangle), andhra (rectangle with one long arm), square (sikkim, nagaland, haryana, punjab, HP, uttarakhand), rectangle (UP, bihar), amoeboid (chattisgarh, MP) etc. Q. How to practices world map..for example i have to show any country of middle east like libya which is in news..how should i show…should i draw the map of middle east and then i should show libya inside or independent. In world map, normally they provide the maps & you're supposed to mark the place/detail asked. They've not asked for maps of other countries till now in my knowledge. How to handle the maps questions? 2. You don’t know the exact location on the map but you know about the place – then mark the spot where you think the place might be (let it go wrong, no problem), but write the exact description. You’ll definitely get marks. 3. You know the broad region in which the place is located, but not the exact unique detail – here you can go for intelligent correlation. I’ll give an eg: suppose kudremukh is asked & you know it’s somewhere in the western ghats of Karnataka but nothing special about it. First mark it on the map. For the description, you can safely write anything that’s common to the hills of w.ghats here & it will surely be passable for an answer. Say, you can use points like – one of the high peaks of ghats, orogenic monsoonal rainfall, tropical evergreen forests, biodiversity hotspot, non-perennial streams, potential for tourism/small hydro etc. Here the trick is to write a word or two about each topic in the syllabus (ie whichever is applicable) linking it with the place asked – ie. Importance/speciality of the place from the point of view of geomorph/climatology, oceano/biogeography, settlement, trade, agri, industry, transport etc. This will give you enough material & may even exceed 30 words. This method will not fetch you full marks, but its better than a zero. 4. You neither know the place nor the description. (May God can help you!) – Perform some guess work, which may range from logical to ridiculous. If luck’s on your side, you’ll get it. I got the entry for phalgu river (geo-2 2010) correct in this fashion. It seemed like a Hindi name to me & so I marked it in bihar, and wrote a description common to all rivers of indo-gangetic plain – meanders, floodplains, sandbars, alluvium etc. I came home, checked wikipedia & found to my pleasant surprise that I guessed it right. But 4 other guesses went wrong. One of the reason for Geography have been popular in mains ,for map pointing in both the papers. Since 2007 Union Public Service Commission has been doing various experiments in map pointing to reduce its popularity mainly to reduce the impact of coaching institutes. Last Year map in both the papers is direct evidence for it. First of all map needs rigorous practice, There is no doubt in it. But what kind of points to be practiced and how to write info for the corresponding entry in various angles like physical,human,economic,cultural,environmental etc is one of the major challenging issue for all the serious aspirants. I have done 10 and 13 entries in paper 1&2 respectively in all aspects the question being asked including GMT. I can give guidelines, I would be happy if it works for any of the aspirants. Take a series of empty maps and try to locate all physical features at on place and so on for various features. Follow the hindu News Paper, Particularly for Indian Places. This Year almost 4 difficult entries were in News. If you dont know the info for any place try to associate with the syllabus. For ex: To write 40 words on Ken river. A seasonal dendritic river of Bhundelkhand and tributary of Chambal originating at foot hills of Vindhya. It is the part of Indias first river linking project. Provides irrigation, drinking water, electricity to this region. Famous for highly eroded landforms Ravines. This particular info on Ken coverd in all angles asked by Union Public Service Commission. When you are doing map point kindly respect the rules of map pointing. One important aspect in civils service is , person must know what to read and what not to read.This looks very simple but most of the people do mistake at this, and often do mistakes. second aspect in what way the material are to be studied and how to balance both optional and gs. above all, the most important thing is how to write the exam; Because i believe most of the people are failed to clear exam even after well preparation. What is required to succeed with Geography? One must have complete grip on syllabus: the topics which were given in syllabus of Union Public Service Commission preliminary. I suggest at least read once syllabus every day and try to digest each and every sub heading. One must look into old question papers in order to understand the nature of questions and to know the pulse of Union Public Service Commission for what exactly they are demanding form student . One advantage with geography is it requires both analitical study and factual study (route memorization);There fore this optional eqully easy/difficult for arts and science background people. Accuracy can come only with revision for atlast 5-6 times and reading with analysis and reasoning. How to Read Geography Books? While reading these books one must take care of syllabus and nature of questions. One must follow the map while reading these text books, Because it develops your analytical ability. Use Penguin dictionary where ever you’re not comfortable with terminology of geography. I think you may or may n't get the subject in ur first reading; but don't stop reading. I suggest you go through at least twice these books so that you will come to know various links associated between topics. There is no need for you to read each and every text book from 1st page to last page. I suggest you strictly bound to syllabus. In your 3rd and 4th reading one must prepare notes from these books. By this time you will come to know pulse of Union Public Service Commission. I strongly believe one who follows sincerely these things at a time of 4-5Hrs per day for geography, i think for all the 4 revisions including notes preparation may take 85-100 days. Books are necessary but not sufficient. Because mains doesnot demand bookish knowledge alone. You need to develop skill of linking, writing and application. It will not come in a day but Keep on practicing the old question papers- it is the only way to come out from this.